Get a detailed look at how your thyroid is functioning and how it is affecting your energy, weight, digestion, mood and so much more. Thyroid malfunction can often be the underlying issue to a variety of chronic illnesses. 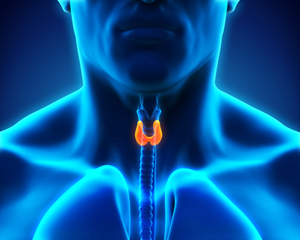 Thyroid hormones are essential in regulating the body’s metabolism. Thyroid hormone imbalances can affect virtually every metabolic process in the body, exerting significant effects on mood and energy levels. Testing can be customized based on your consultation with a pH doctor, such as examining possible autoimmune activity against your thyroid, correlating food allergies, hormone imbalances and more. The doctor will work with you to get to the root of your issues. Remember, the earlier a disease is diagnosed, the more likely it is that it can be cured or successfully managed. Managing a disease, especially early in its course, may prevent or delay serious complications. Contact us to find out if your insurance will cover your test.